BG Robonight is an Expert Advisor that works at the junction of the American and Pacific sessions. 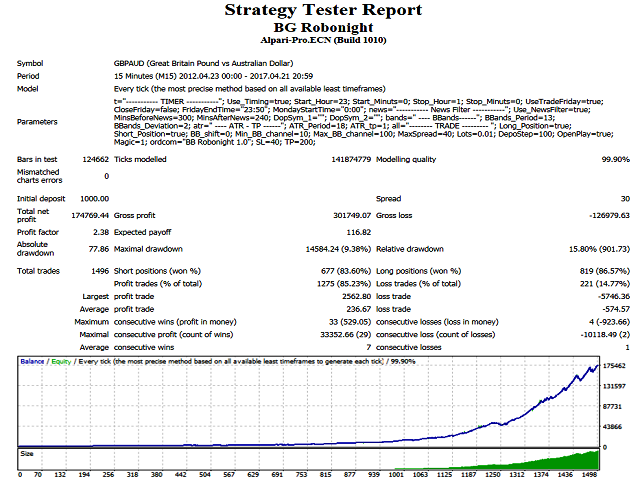 The initial objective of the EA was to enable multicurrency trading with the same settings for all pairs. AUDCAD, CADCHF, EURCAD, GBPCAD, AUDCHF, GBPAUD. The EA features a news filter, which uses a news indicator. NOTE! The default settings and proposed set files are designed for brokers working according to Eastern European Time and New York trading time, thus covering most well-known brokers. 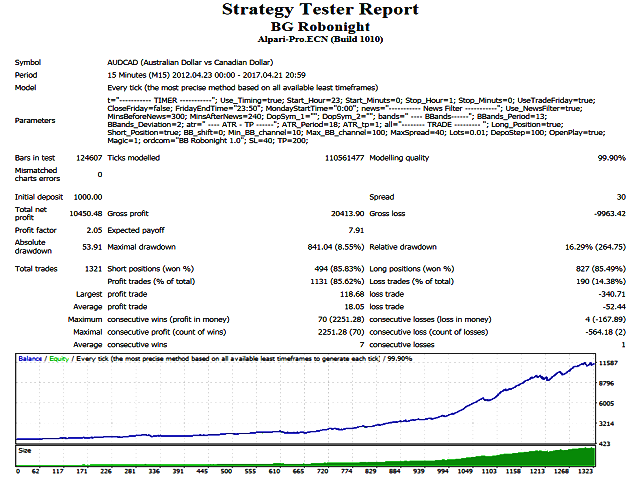 If your broker has another terminal time, change the EA operation time manually. 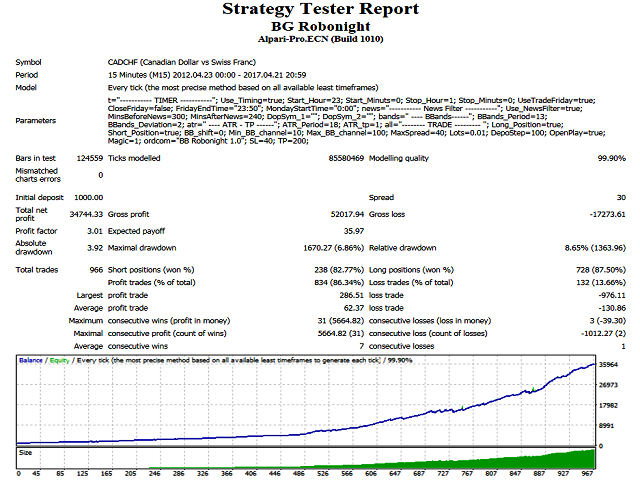 Recommended account type - NDD, ECN. 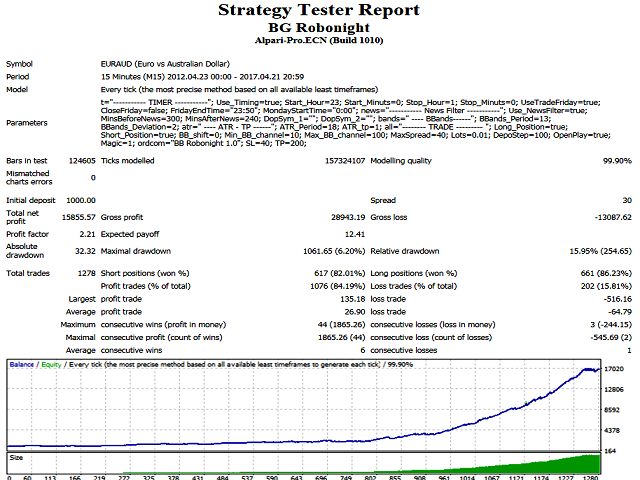 Well done expert, just find a broker that in the hours that the system operates ie the night, apply acceptable spreads, I work with three brokers that I consider valid but those hours on the couples in question, at least triple the usual spreads so the results Will be unfortunately disappointing. This unfortunately does not depend on the author who has done a great job anyway.